More on the Peerless Double or Triple Metal Stud Wall Plate for Jumbo and SP740 Mounts (Black) WSP4 below. Call our Peerless AV experts at 800-807-1477. A pre-drilled center hole pattern, specifically designed to accept Peerless wall mounts. A scratch-resistant, fused epoxy black finish. 125 - 150 pound weight capacity. Easy installation, with all necessary mounting hardware included for both wood and metal studs. WSP 425 double stud wall plate with 16" centers for single arm wall mounts. 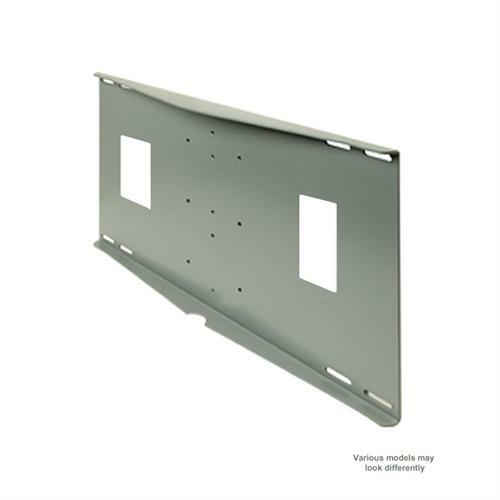 WSP 445 double stud wall plate with 16, 20 or 24" centers for single arm wall mounts. WSP 450 triple stud wall plate with 16" centers for double arm wall mounts. WSP 470 triple stud wall plate with 24" centers for double arm wall mounts.